Blaney Agri’s new offset weed licker will be among a number of new machines the company will be launching at Balmoral show. It says with the recent burst of sunshine and temperatures hotting up, weeds will be at the forefront of farmers’ minds. 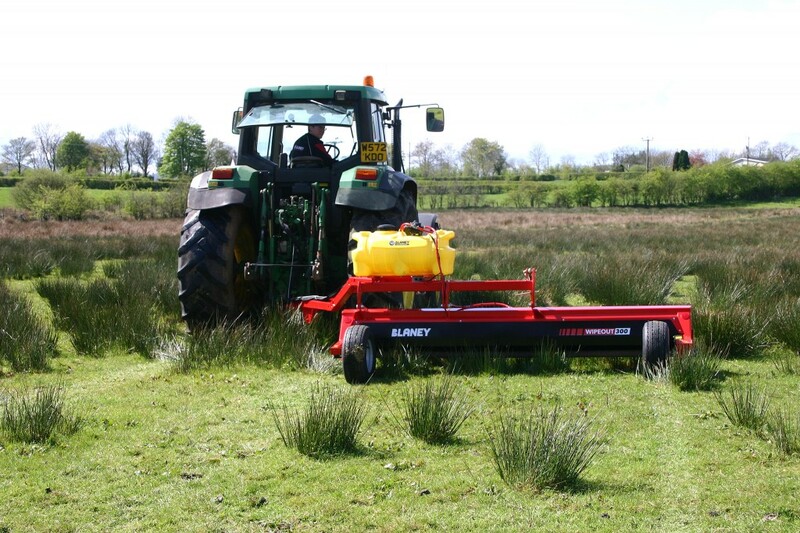 Blaney Agri claim it can help farmer tackle weeds with its range of tractor weed wipers, the new fully offset 3m model and the new TGS range of grassland sprayers. 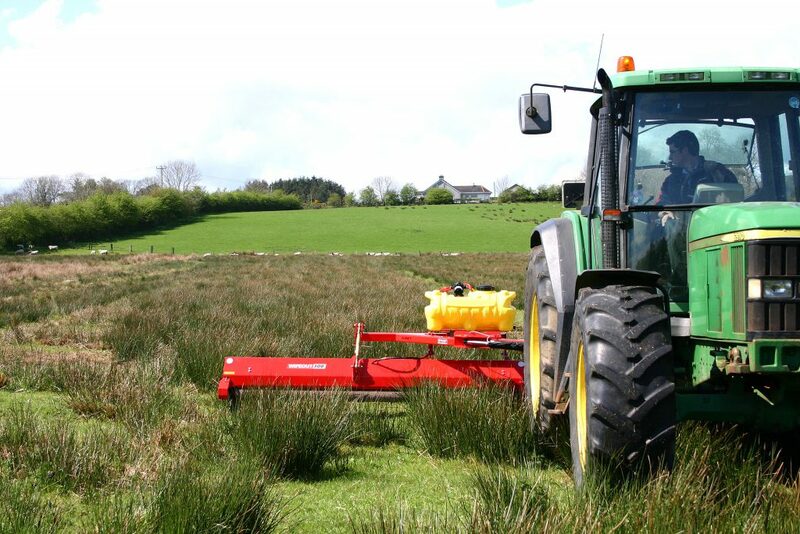 The new offset 3m tractor mounted weed wiper will also be on display at the Blaney Agri stand No B2 at Balmoral. 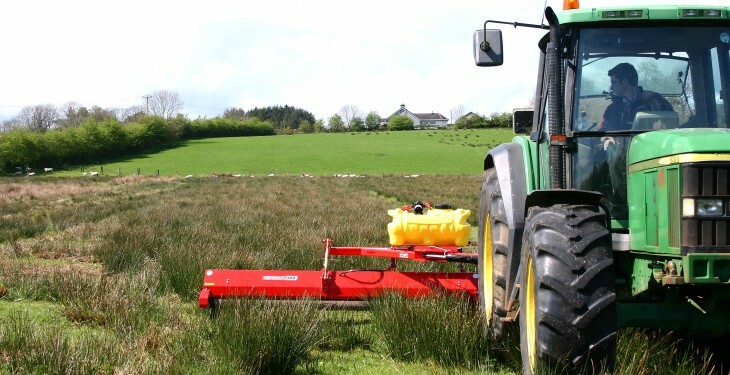 This is the world’s first fully offset weed wiper and will attract a lot of attention following the successful launch of the innovative Blaney Agri tractor wiper range in 2013. Blaney says it is the world’s first fully offset trailed 3m trailed weed wiper and can be fully controlled from the cab. It can be positioned either fully offset or directly behind with infinite positioning in between, fully adjustable from the cab. It says the adjustable offset function allows for easy weed treatment around obstacles or drains giving the user the ability to work in areas that might prove inaccessible with a fixed position machine. The offset function avoids the concern of some that driving over the weeds before wiping can cause them to be flattened. The Blaney Agri TGS range of grassland sprayers can be seen for the first time at the Balmoral Show. This high specification range of sprayers are compact and easy to use. A low centre of gravity design gives more stability while working on slopes. Combined with the close mounted slim-line design there is improved front axle balance allowing a smaller tractor to be used. The range includes tank capacities from 400L to 1400L, a compact 230L model and boom widths of 8m to 12m.